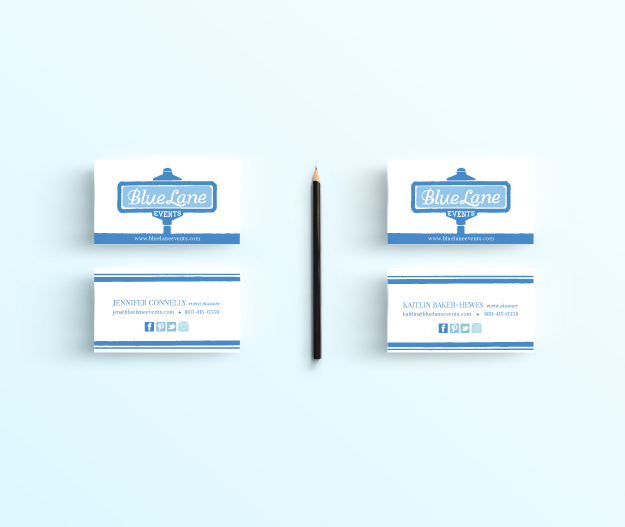 The Blue Lane Events website, final logo and business cards have arrived! Remember that sneak peek that from a photoshoot with Ashley Caroline, and also the moodboards and logo exploratory that I did for Blue Lane Events? Well, the final product is here and we all couldn't be happier with the results.We had an awesome time working together and I would trust these ladies with any of my future occasions. Congratulations Jen and Kaitlin! I know all your events will be spectacular. hugs to Ashley Caroline for her amazing photography! photography from SD Photography and Jenn Bach Photography also used throughout the site.